Vahid Feiz, MD is a board-certified ophthalmologist and surgeon who is highly skilled in general eye care as well as the use of many laser techniques and procedures. 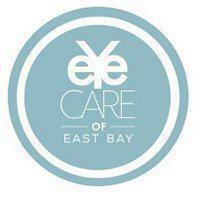 At Eye Care of East Bay, Dr. Feiz offers many different treatment options and procedures such as cataract surgery, glaucoma treatment, LASIK, contact lenses, eyeglasses, corneal transplants, dry eye treatment, macular degeneration, and much more. Dr. Feiz graduated from Washington University School of Medicine with his medical degree and then moved to St. John's Mercy Medical Center where he completed his internship. He performed two residencies in ophthalmology. He completed one residency at Boston University Medical Center and finished another at the University of California Davis campus, where he earned a fellowship in cornea and laser refractive surgery. After teaching for almost a decade, Dr. Feiz moved into private practice where he continues to serve the public academically and in private practice. With over 21 years of experience, Dr. Feiz has served the Walnut Creek, California area both academically as well as in private practice. He continually works to bring new techniques and treatment options to his patients who live in and around the Walnut Creek area.